Stony-irons are hands down the prettiest meteorites to look at. 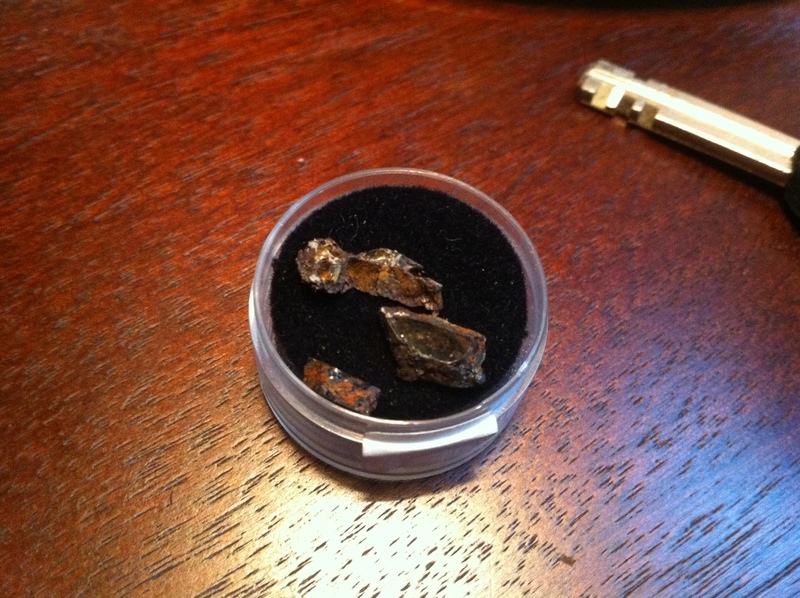 They’re somewhat similar to their iron meteorite cousins in that they have an iron-nickel body, or matrix. However, they are unique in that some are studded with these gorgeous olivine crystals called peridot. The accepted consensus is that these meteorites originated at the boundary between the core and the mantle of asteroids that grew large enough to develop such features (1). This is because peridot, a magnesium rich olivine, crystalizes at very high temperatures only found at the mantle. 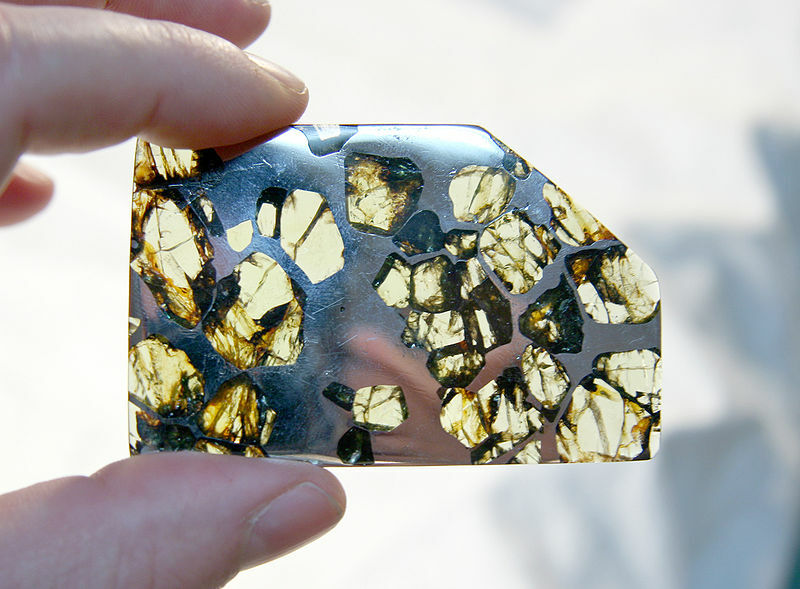 The stony-irons with these olivine crystals are called pallasites. The other type of stony iron is called a mesosiderite. These guys are really cool because their composition is thought to be the result of a collision between two molten asteroids. Mesosiderites still retain the iron-nickel body of the pallasites, but contain chunks of melted rock (clasts) instead of olivine crystals. The angularity and direction of the clasts is suggestive of a large impact between two asteroids, with material from the crust mixing into the iron-nickel core (1). 1. Smith, C., Russel, S., Benedix, G., Meteorites. Firefly Books. 2009. P. 67.